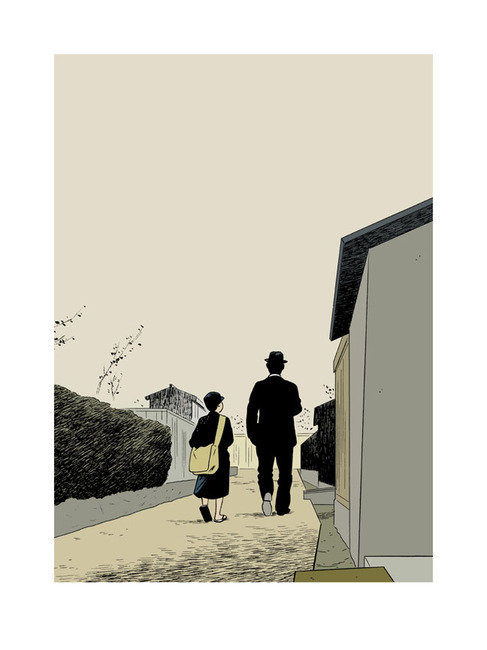 Good news for admirers of Adrian Tomine’s simply gorgeous illustrations for the Criterion two-DVD special edition of Yasujiro Ozu’s The Only Son and There Was a Father: the artist has joined forces with art and literary comics publisher Drawn & Quarterly to offer these elegant, poignant designs in new limited-edition prints (only fifty of each). And even better, it’s for a great cause: the proceeds will go to the Japan Society’s Earthquake Relief Fund. 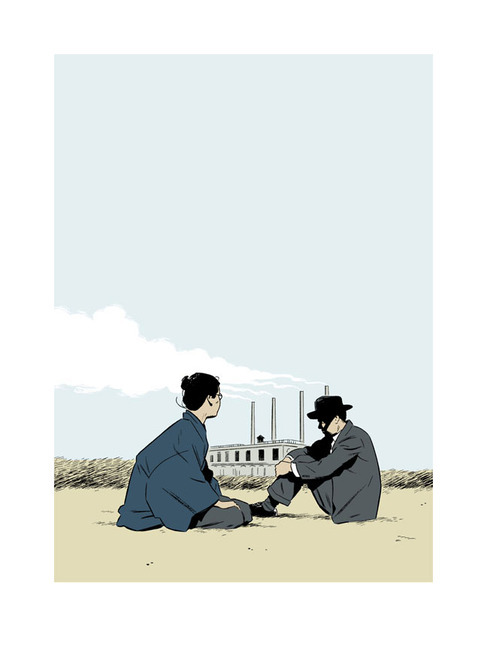 These two giclée prints, signed and numbered by the artist go on sale at noon on Wednesday, April 27, for $250 each; all orders will include a small, personalized original sketch by Tomine.